April: Distracted Driving Awareness Month! Distracted driving has become one of the most dangerous trends on American roads. It’s estimated that nine people die and 100 are injured every day due to distracted driving-related accidents. In Maryland, distracted driving contributes to about 58 percent of all traffic accidents, killing nearly 200 people and injuring over 27,000 others every year. Unfortunately, every driver has fallen victim to a distraction at some point behind the wheel. To help spread awareness on the prevalence of distracted driving accidents, April is recognized as National Distracted Driving Awareness Month. By educating drivers on what constitutes as distracted driving and providing methods for preventing it, we can all help do our part to save lives simply by just paying attention. Drivers can be distracted by one, two, or all three types of impairments at the same time depending on what they are doing. Texting, for instance, is one of the most common forms of distractive driving and involves all three impairments. Drivers who text are looking at their phone, taking their hand off the wheel to text, and focusing their mind on what it is they want to say, putting everyone else on the road on hold and at serious risk. Multitasking behind the wheel of a car is a myth- not a skill. According to the National Safety Council, the human brain cannot efficiently perform two tasks at the same time. For example, if you are driving while talking to someone on the phone, your brain is constantly switching back and forth between the road and conversation. Not only are you processing the information coming in and figuring out what to say next, but you’re also attempting to navigate your vehicle and react to unpredictable hazards that can be easily missed if your brain is not entirely focused. The myth of multitasking can be proven merely by looking at one of the most common causes of distracted driving accidents: daydreaming. 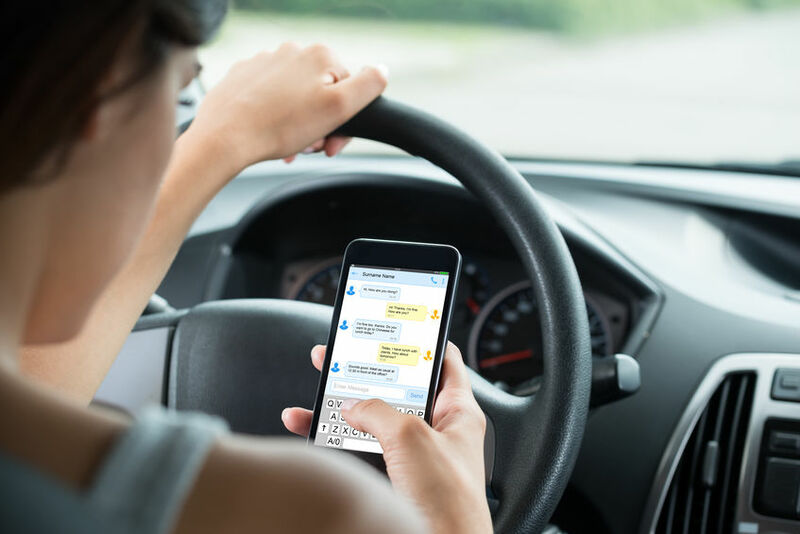 In an article published last April by Insurance Business America, distracted driving trends showed that 61 percent of distracted drivers indicated their accidents occurred when they were “lost in thought” or “daydreaming”. Even when your hands are on the wheel and your eyes are on the road, if your brain is not focused on driving, accidents are bound to occur. Distraction Alert Devices: There are many gadgets on the market aimed at keeping distracted drivers alert. Some tools, such as the Ridy device, target multiple distracted driving behaviors. This device analyzes your face while driving to determine when your eyes leave the road or when you may be engaging in dangerous acts. Other devices target specific distractions. Drowsy driving alarms are helpful for frequent nighttime drivers or motorists who work long shifts. Worn by the driver, these alarms will go off to alert a driver if they are showing signs of falling asleep at the wheel. Anti-Distraction Devices: There are some products on the market that do not fool around. This Distracted Driving Prevention Dock is installed into the glovebox of your vehicle, and will not allow you to turn on your car unless your smartphone is secured in! Driving Modes: Cell phones have become one of the most significant distractions on the road. Newer operating systems on the Samsung and Apple phones have driver modes that can help reduce the urge to text, call, or talk when the car is in motion. Verizon, Sprint, and AT&T have also rolled out their own driving modes that consumers can use via apps. You can find more information on these apps and features through Consumer Reports. Advanced Safety Features: Newer vehicles have safety features to prevent certain distractions and protect drivers from other errors they might make behind the wheel. Hands-free and voice controls, crash avoidance systems, lane departure warnings, and optical vehicle cameras are all aimed at reducing accidents caused by human error. If the guilt that you could hurt yourself or someone else from driving distracted is not enough, Maryland police are hoping their penalties will be. $5,000 and possibly 3 years in prison if your cellphone contributed to an accident that seriously injured or killed someone in a crash. Only use your cellphone in an emergency. Pull off to the side of the road if you are tired. Limit the number of passengers in your car. Limit the level of activity inside your car. Do not eat and drive. Multitask outside the vehicle, not while driving. If you are dedicated to driving safe this month, take the pledge! Visit the National Safety Council’s website and sign the Just Drive Pledge to commit to driving cellphone and distraction free. 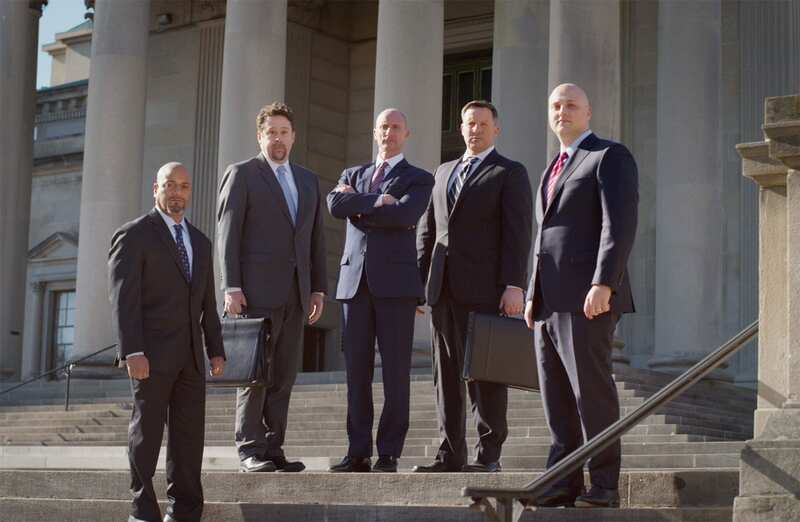 Our Maryland motor vehicle accident lawyers have the trial experience to protect your rights and fight for the compensation you need and deserve. Don’t Get Mad...Get Justice! Call 1-800-JUSTICE or fill out an online contact form to get the justice you deserve. You will reach one of our successful motor vehicle accident attorneys to review your case. Our consultation is free, and there is no fee unless we win!